Building the future of the dairy industry is something Lely North America is passionate about. In its third year, Lely’s scholarship program aids students as they pursue a degree that will do just that. Recently, Brandon Strupp was named the recipient of the 2018 $1,000 scholarship. Strupp will be attending the University of Wisconsin-Madison where he is a freshman in the College of Agriculture and Life Sciences. "Winning this scholarship will allow me to have less financial stress and to focus more on my dairy science studies and allow me to take full advantage of all of the opportunities that the University of Wisconsin-Madison presents to help me prepare for a career in the dairy industry,” Strupp said. “I would like to thank Lely for their generous scholarship donation which will allow me to continue to pursue my passions in the dairy industry." Strupp was very active in the dairy world throughout high school, serving as the President of the Hartford FFA as a senior, as well as qualifying for the Hartford FFA Dairy Products Evaluation and Cattle Evaluation multiple times. 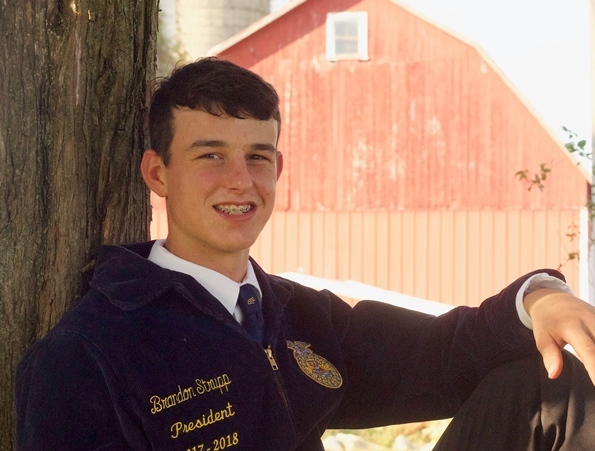 In a letter of recommendation written by his FFA Advisor, Strupp was praised as an impressive young man with a drive to succeed and a dedication to his family, studies and others. I have been able to see firsthand the benefits of implementing automation into the industry. For some, it may seem wrong to eliminate some of the human element in caring for the dairy animals, but in reality the automation allows the herdsperson to focus more on the health, behavior, and management of the cows and less on the manual labor associated with milking and feeding. This is both a benefit to the cow and the herdsperson, as the cow is now on her own schedule, and not relying on human intervention to milk and eat, and the herdsperson can better manage the herd as that is now their main focus. The implementation of automation into the dairy industry is essential to improve the efficiency and production of the dairy industry in order to keep up with increasing demand, and to ensure success for the generation of farmers to come.